My friends at No Starch Press sent me a copy to review, but it barely got out of the envelope before my son got his hands on it. 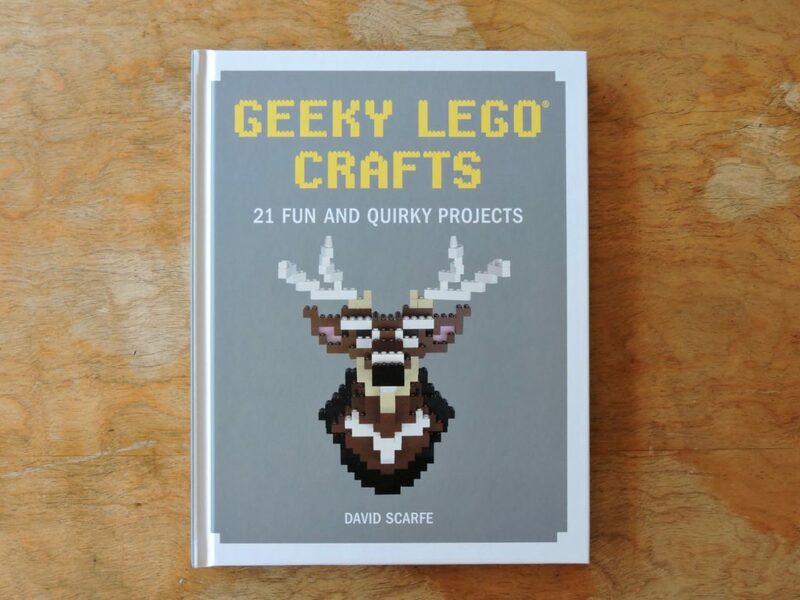 The colorful projects in this book have a lovely pixel-art aesthetic and clever designs that will appeal to fans of all ages. Each project is introduced with a bold image of the finished product. Honestly, it was this pencil holder that really sold me on the book. 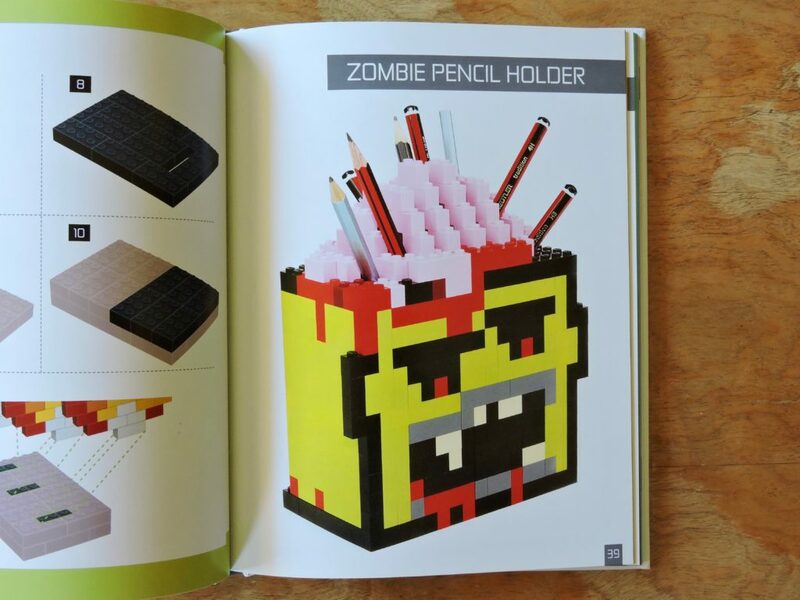 Who couldn’t love shoving pencils into a zombie brain? Many of the projects in this book are of a practical bent, from key racks to coasters, and the themes range across the classic gaming and computer imagery. Each one, starts with a simple bill of materials, almost exclusively basic bricks in bold colors. 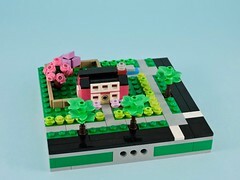 This is definitely one of the allures for the causal builder, those basic bricks aren’t too hard to acquire from the local Pick-A-Brick wall! Most of these models are just stacked bricks, so the instructions take a slightly different turn. Each step depicts one of more layers of the build. There aren’t any exotic techniques on display here, but even brick stacking can have an elegance. This simplicity is what gives the finished projects so much charm: they aren’t trying to hide the bricks, but highlighting them. 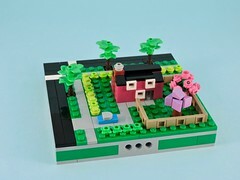 Many AFOLs are sweating the ways to hide the blockiness of LEGO, but these models revel in it. 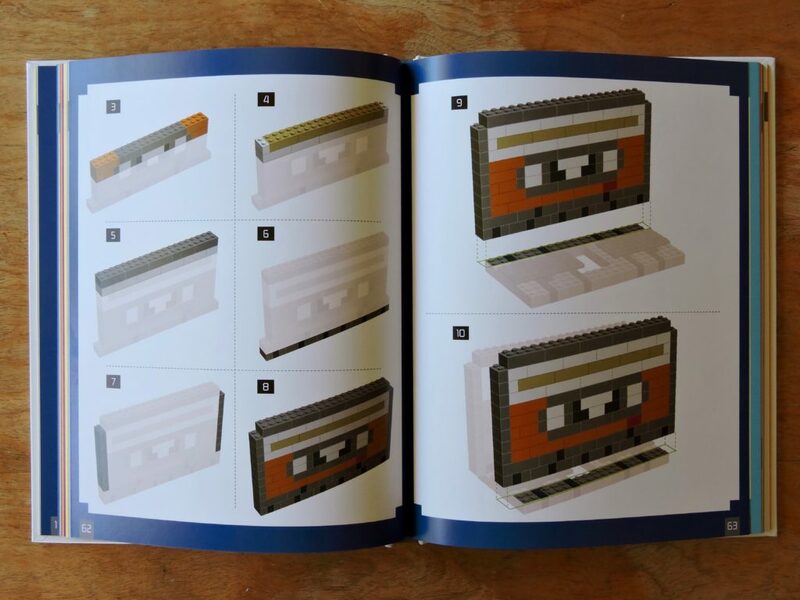 Though I don’t think this book will appeal to many of the die-hard AFOLs that I know, this would be a perfect gift for anyone who is a casual (or young) LEGO lover. This would be a fun coffee table book too, I can easily imagine the spontaneous building it might inspire in adults who haven’t touched a brick since childhood! Check out a copy at your local bookstore when it comes out on September 30th, or follow the links below to an online bookseller.